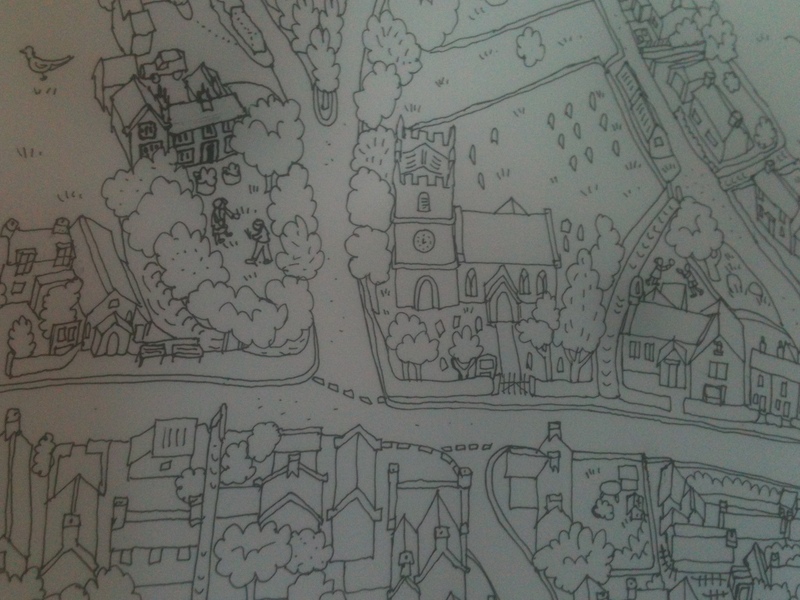 A beautiful, quirky, hand drawn map of your place- just imagine! We perch on our planet, precariously tilting on the curve of the earth. We dig our roots into the soil, our foundations into the rock. For generations we live in our landscapes, building, farming and creating our places. I am fascinated by our presence in the landscape. 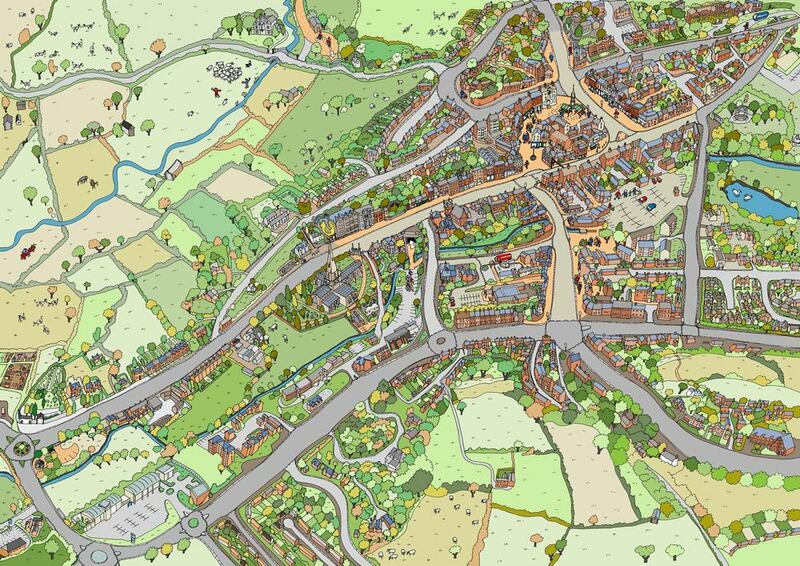 I am fascinated by hand drawn maps and the stories that appear in them, I also make hand drawn birds-eye-view maps. Do you remember the ‘Save water- share a bath’ campaign? Well, Save Young People, Share an Apprentice! Just in Staffordshire there are over 30,000 small businesses, if half of those shared an apprentice that would be 7,000 young people being given a start! Beechenhill is a small organic dairy farm and as much as we would love to have lots of apprentices, we can’t justify full time help. 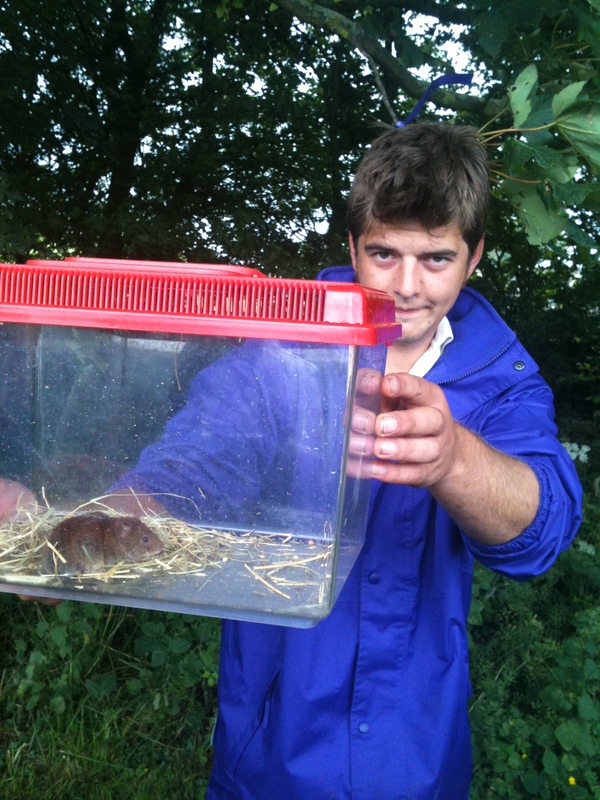 BUT- with the help of DART we have been able to share Zach with another dairy farm up the road, Grove Farm at Stanshope. It is brilliant! Zach is getting the official training he wants; He has passed his tractor test and has become quite an expert foot trimmer! Both farms and Zach are flexible about arrangements so if there is a great learning opportunity at one farm on a different day, Zach can take advantage of it. If one farmer needs extra help from Zach, it is easy to arrange. I suppose that is how things used to be. It’s just what happened in a close rural community, young people were simply included in the working life of the village. But nowadays the barriers of paperwork and perceptions of insurance, legislation, time required and cost all get in the way of this natural community action. This is where DART have been so helpful. Initially they arranged work experience placements from school, which is how we met Zach. We all got on; he worked hard and was a bright, quick learner. He started a Saturday job with us and then DART helped him and the two farms seamlessly to start the apprenticeship when he left school. 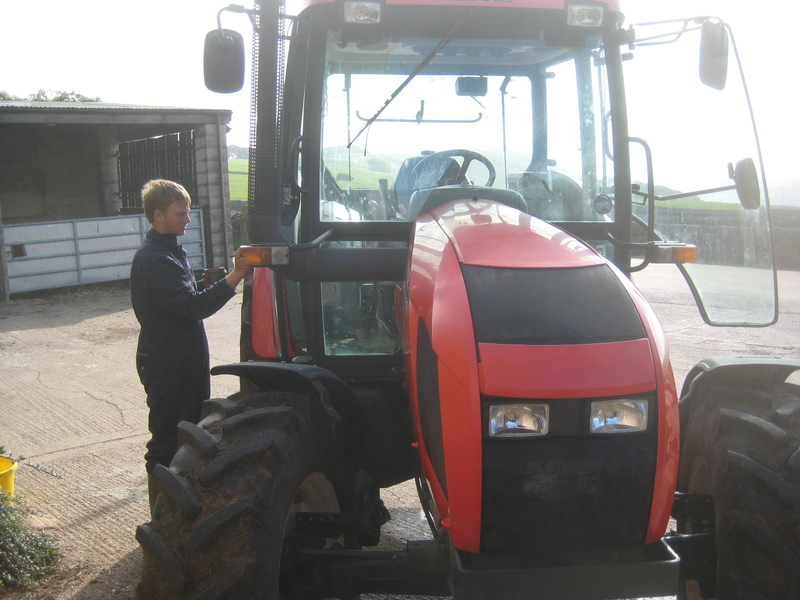 Zach is not perfect- he gets very cross if his newly washed tractor gets dirty, but, whatever business you are in, I can thoroughly recommend taking on an apprentice, and particularly sharing an apprentice! Go on, do it today!! Both Business Peak District and Stoke and Staffordshire LEP have apprenticeship schemes. Nature gives us what we need. When we started our conversion to organic farming in 1998, Terry the farmer was very uncomfortable about allowing nettles, thistles and dock leaves to grow on the farm. 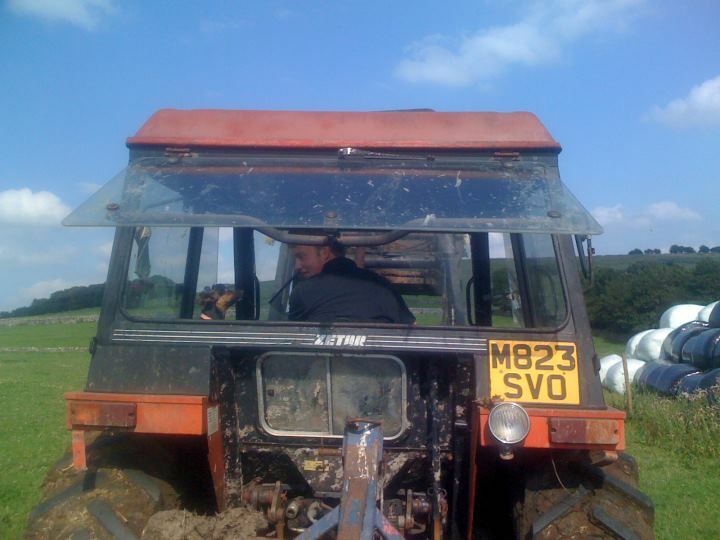 He had grown up on a ‘tidy’ farm where such things were eliminated. One of the toughest lessons was to allow these weeds to grow. 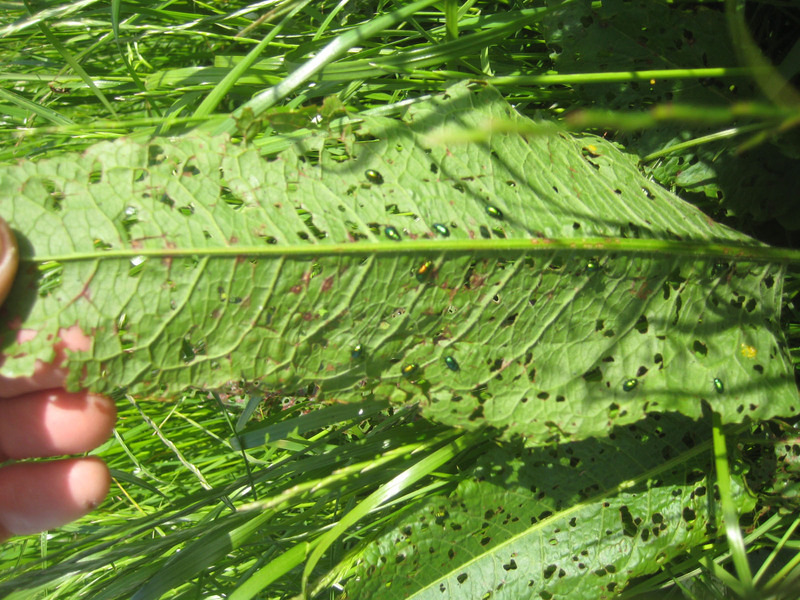 Then we realised that even if you spray them every year, every year they come back and you spray them again and again, (putting profits into the pockets of the multinational chemical companies). So we try to reduce them by management. This is why organic food is sometimes more expensive to produce because people have spent hours in the field ‘spudding’ thistles or pulling ragwort and docks. 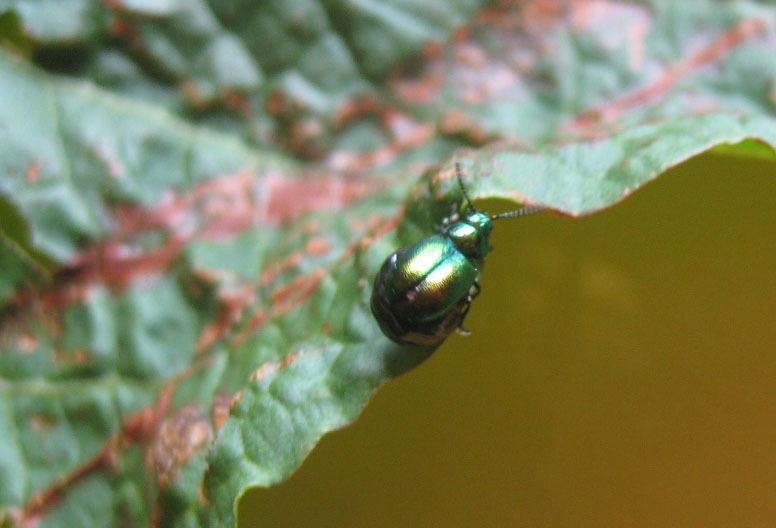 Now we have a little helper- Gastrophysa Viridula, the Iridescent Green Dock Beetle. 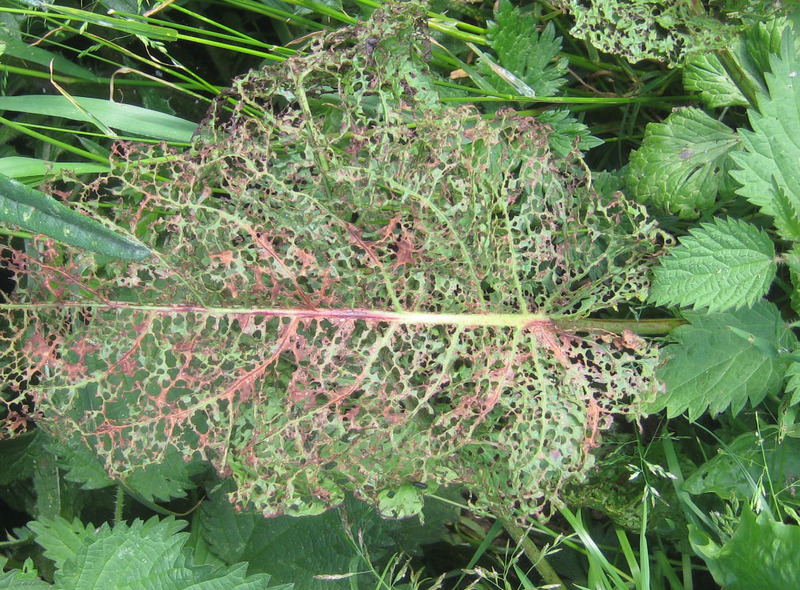 Dock leaves in meadows (mowing fields) are a bit of a nuisance. 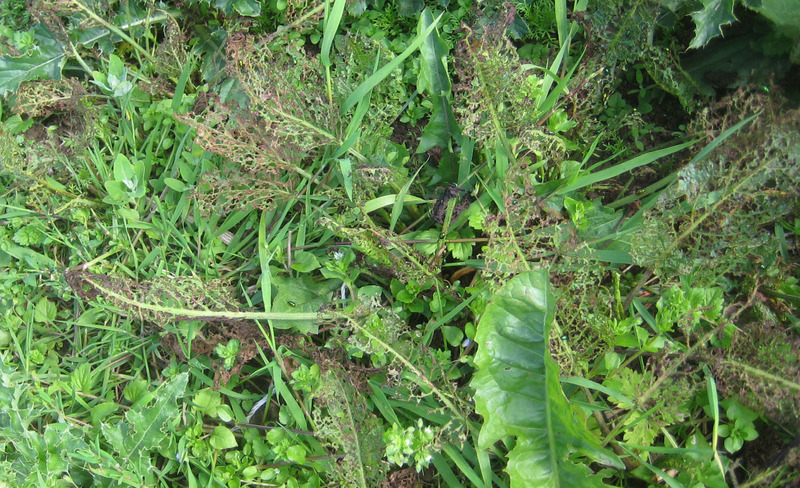 Their strong, stringy stalks in the silage (preserved grass) are not good for cows to eat and docks are very good at producing prolific seed heads. Their tap roots are very robust and difficult to pull out. 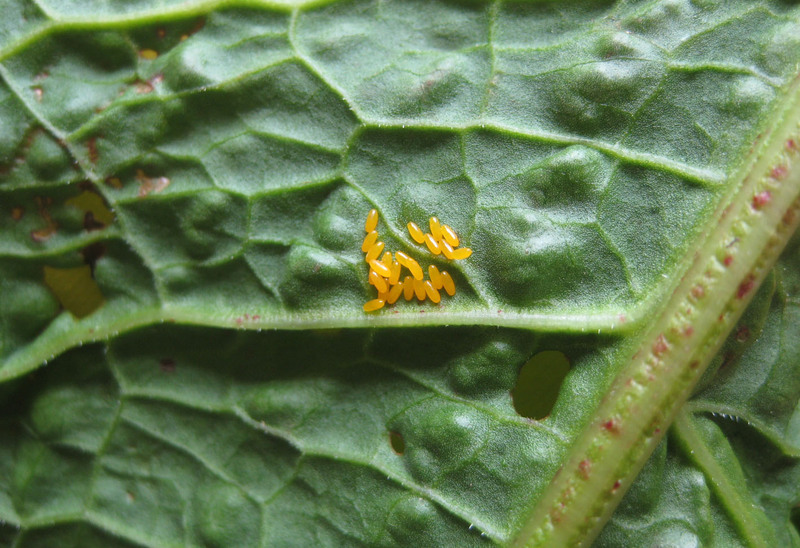 The jewel like dock beetle lays its little yellow eggs on the leaves, and when hatched the little beetles munch their way through the entire crop- it’s miraculous! If we were to spray either pesticide or weed killer we would lose these little friendly helpers. Omsco (The Organic Milk Suppliers Co-op we sell our organic milk to) held a Hedgerow Safari here last week. We were able to show the children our friendly beetles, they were extremely impressed- until they saw the bank voles that was! The next day we found him with a little box collecting some of the Gastrophysa Viridula and taking them off to his farm- trouble is he will have to stop spraying if he wants to keep them…. A lovely video from @terrybnd all about our wonderful well dressings. Tissington is always the first and is the most spectacular, but from May to September you can find a well dressing somewhere in the Peak District. Tissington is a neighbouring village, and we always try and take the opportunity to wander around admiring the well dressings during balmy evenings, after all the crowds have gone. 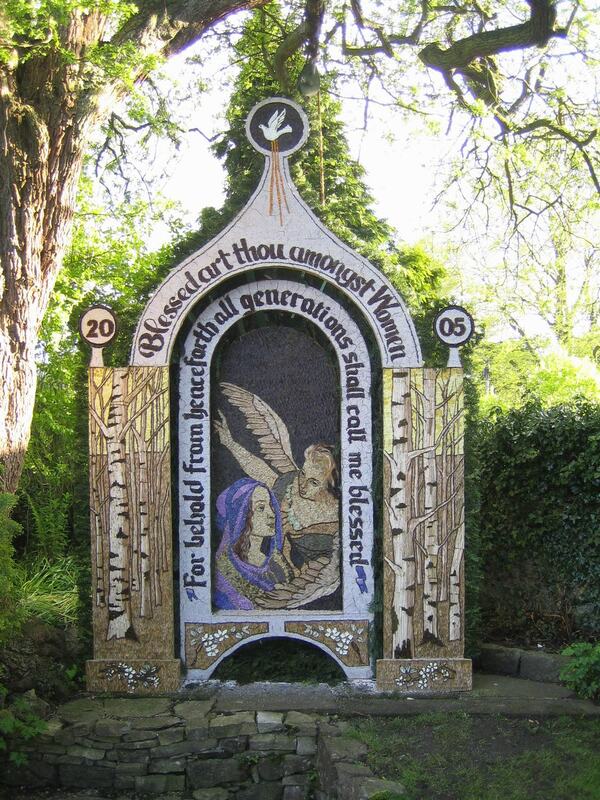 Well dressings are the amazing and ephemeral works of art displayed, briefly in villages all over the Peak District. For hundreds of years villagers have celebrated the gift of sweet water by decorating the village wells with intricate patterns and pictures often inspired by Bible stories. The pictures are made of flower petals, carefully laid over each other like roof tiles, fixed into damp clay, held in large decorative vertical wooden trays. The designs are pricked out on the clay using paper patterns, the outlines created with tiny pine cones. Then starting at the bottom the vibrant coloured flower petals are gently fixed into the clay. Some wells have traditional patterns repeated over the years. The decorations remain on view for just one week, then everything is cleared away and planning starts for the next year. I’m a painter, specialising in Swedish style folk art. When I paint about the Peak District I always give Peak District women well dressing skirts- even my ‘Angels bending near the Earth’ have well dressing robes. The Gallery was founded in 1971 as a result of an annual action camp for Naïve Artists, which started in 1968. At these meetings artists from around the world met each other and shared experiences while creating pieces for the permanent collection. 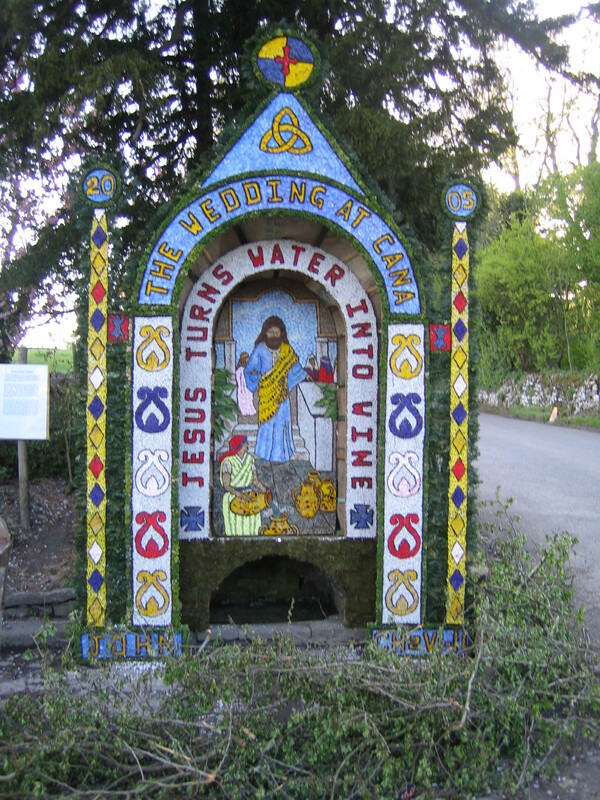 Well dressings are the Peak District’s folk art. Created by people of the place, they haven’t been to art college, they aren’t professional artists, but what they create touches the heart and warms the soul! To appreciate a well dressing is to appreciate the closeness and tradition of a community, the relentless turning of the seasons, the love of nature and flowers, the patterns and images that surround you and the protected landscape they sit in. We seriously love our cows. getting to know them and appreciate their characters and quirks. Today we let our bonny organic cows out for the first time since Oct. They skip and bounce, buck and gallop. It is fantastic to see such huge creatures, normally regarded as slow and lumbering, be so animated and lively! Amelia but is now called Bang Bang Amelia. Living with cows gives you an extra dimension. 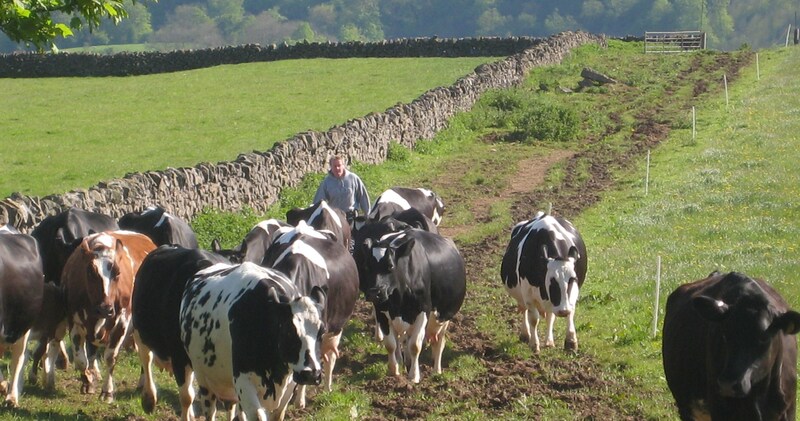 We are surrounded by huge, benign creatures who are connected to our organic soil with all four feet and who eat our organic grass, herbs and flowers and allow us to harvest rich creamy delicious milk. Because they are organic, they aren’t pushed to produce more than they are comfortable with. They have long and happy lives, and we LOVE them! A while ago I tramped across the Peak District’s Bleaklow in mizzly drizzle, hot and puffing in my waterproof jacket; my legs aching from high stepping through the heather tufts. We reached a high point and stopped. All around, as I spun slowly, I could see hazy landscape; 360 degrees of our imperfect world. My cheeks were glowing and I felt strong and brave and my spirit lifted with joy. I was an explorer! Moors for the Future is doing a fantastic job of repairing the peat, helping to recreate the huge carbon sink. We scrambled and slid down the ferny slopes back to the real world, back to my soft rolling white Peak landscape around Ilam and Dovedale. I revisit that high solitary place in my mind’s eye, and feel that thrill and burst of joy now and again. (I didn’t pay for it). So how do you make a living in the English uplands; the real, heather clad, rough, tough inhospitable uplands? Yesterday I spoke to a friend. Feisty, intelligent and dynamic, she and her hard working farmer husband run an exemplary hill farm, environmentally sensitive, appropriately diversified and in a beautiful place. “I just don’t know how we keep going” she said, “it’s been a really tough couple of weeks.” Their cattle have just failed their TB test. This on top of various other everyday farming and family incidents has brought her up short. “How are we supposed to care for these amazing places?” “It just doesn’t stack up financially anymore, simply to be a farmer.” The subsidy system currently should be helping here but because it is weighted towards higher yielding lowlands, the (now apparently valuable and important) uplands were not compensated for their additional hardships. We talked about the new DEFRA Uplands Policy Review published earlier this month. 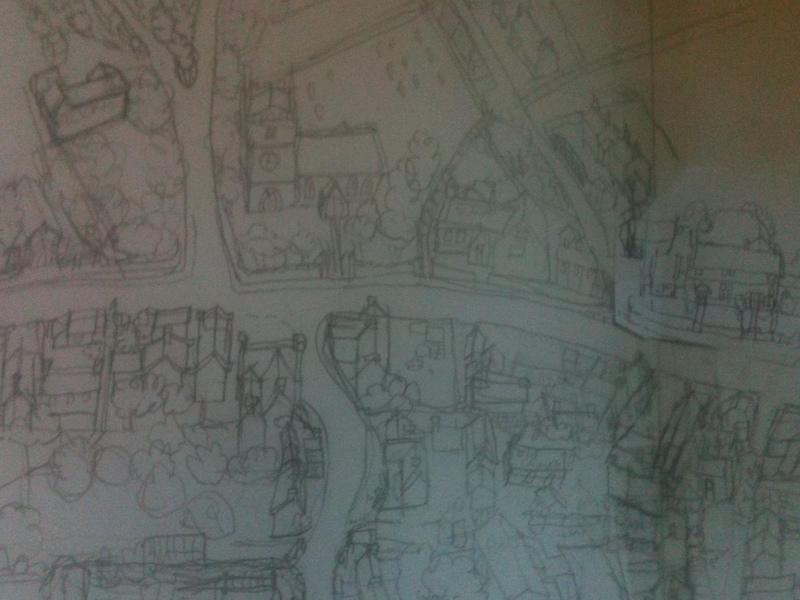 “It’s good as far as it goes” she said, “but it is still just tinkering at the edges”. “How is £20 million on broadband going to help the genuine old farming folk who only know how to farm? They know how to heft sheep, they know how to build and repair stone walls and tend heather, how to produce superb sheep and cattle often for finishing on lowland farms. They don’t make cheese or ice cream; they don’t have any easy diversification opportunities”. This is the dilemma that hasn’t been dealt with- YET! From the English Uplands we get; clean water and carbon storage as well as recreation and opportunities to experience wilderness and adventure. We get opportunities to escape from our mundane crowded lives and expand our personal spaces and let our spirits soar! I have been to so many conferences and seminars where earnest experts expound about “ecosystem services” and how money should be made available to pay for these “public goods”. If we don’t get on and do something very soon, the chance will be lost. Young farmers will not want to start farming in the Uplands when the returns are so low. The older farmers are dying out along with their knowledge and culture. “If they were a building, they‘d slap a preservation order on the old farmers” my friend said. My work as an Ecotourism consultant has lead me to work in Transylvania, helping farmers there derive an income from protecting their extraordinary mediaeval landscape. Why are there funds to help protect their way of life and their beautiful land when our ancient hill farming culture is going down the pan? I know DEFRA plans in 2011 or 2012 to “explore and review the opportunities and challenges for the use of payment for ecosystem service approaches, including upland areas”. But may I respectfully suggest that the time for “exploring and reviewing” is over. Action is needed now. It’s blown me away- this is where I live, this is where I have lived for 26 years. 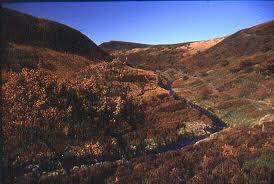 I have often seen Dovedale looking like this. My family and I take most of our local walks during the winter, when things are less busy on the farm. We love the, runny nosed, steamy spectacles, rosy cheeked stagger down the side of the Dovedale gorge on the well maintained but precarious National Trust footpath, where our bodies are too fast for our legs on the precipitous downward plunge. The thing about winter in Dovedale is that with the verdant and abundant leaves shed, you can see through the trees to the underlying drama of the rocks. During Victorian times when thousands of tourists enjoyed day visits from the surrounding industrial cities, there were hardly any trees and the gorge’s dramatic architecture was on show and consequently quaintly named, Lion’s Head Rock, Jacob’s Ladder, Reynard’s Cave and the like. Today it’s a heavily wooded valley and only those who walk in winter can admire the secrets then revealed. I love my place and seeing it in Terry’s video accompanied by the stunning sound track makes my heart beat faster with pride, joy and delight.